Routers Wi-Fi	Hay 9 productos. El CampPro Kit Alfa Network. Router de acceso Wi-Fi 802.11 ac punto AC1200R Alfa Network. El router Wifi Highpower Alfa Network AIP-W525H PowerMax 2300 Mbps 2T2R problema de acceso. El PowerMax 150 WiFi Router Punto de acceso Highpower Alfa Network Mbps AIP-W515H. 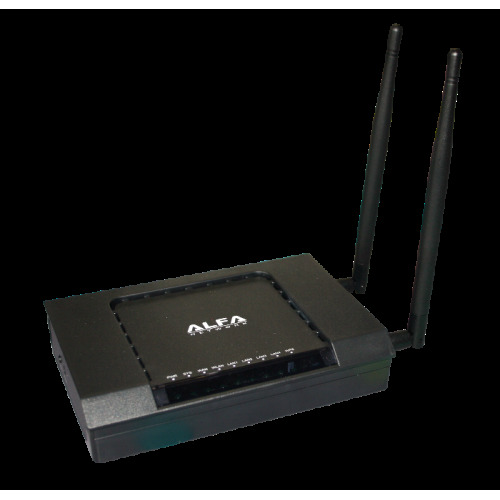 Alfa Network Router Wifi AP121 punto de acceso 150 Mbps. Alfa Network Router Wifi inalámbrico AP121U 150 Mbps con puerto USB. Este router / Wifi 3G extensor Alfa Network R36.